Stock index futures pretty much gave up all their gain from Friday session and finished today on a bearish note. 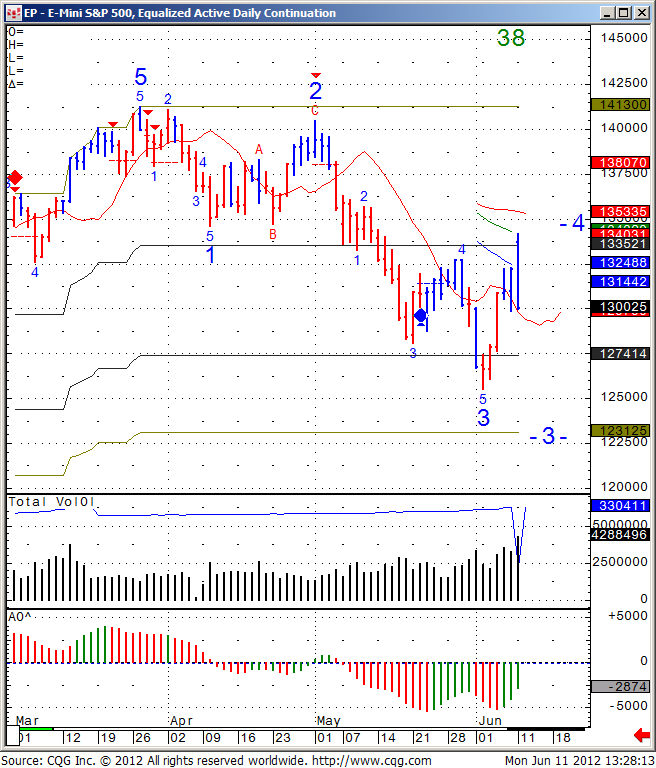 The question is whats ahead for stock index futures and in the case of the chart below, the mini SP 500? My opinion is that the fundamental news, which are coming out, mostly news from Europe will have importance. Most traders are technical by nature, i.e they make decisions based on chart formations. I fall into this category myself BUT it is important to be aware of economic reports times and different news affecting the markets you trade. In the case of the mini SP 500 chart seen below, I see both open interest and volume rising while the trend strength is low in this case. Meaning the down trend that developed over last few weeks on the daily chart is not as a strong. That suggests more price action like we have seen over the past few sessions, strong days up, followed by strong days down etc. My reading is that an hourly close below 1298 level, can trigger the next leg down. Crude Oil and Stock Index Futures: Small Bounce or Short-Term Bottom?